My university, Chiang Mai University (Thailand), has a great relationship with the Kagawa University of Japan. We have a dedicated annual academic conferences where faculty from both universities exchange idea and knowledge. Also our students can also gain a great experience by visiting each other. I think this is a unique relationships two academic institutes may have. My contributions began in 2013 when I had a chance to teach a group of exchange students from Japan. I got second spell with another group in 2014 again in Chiang Mai. 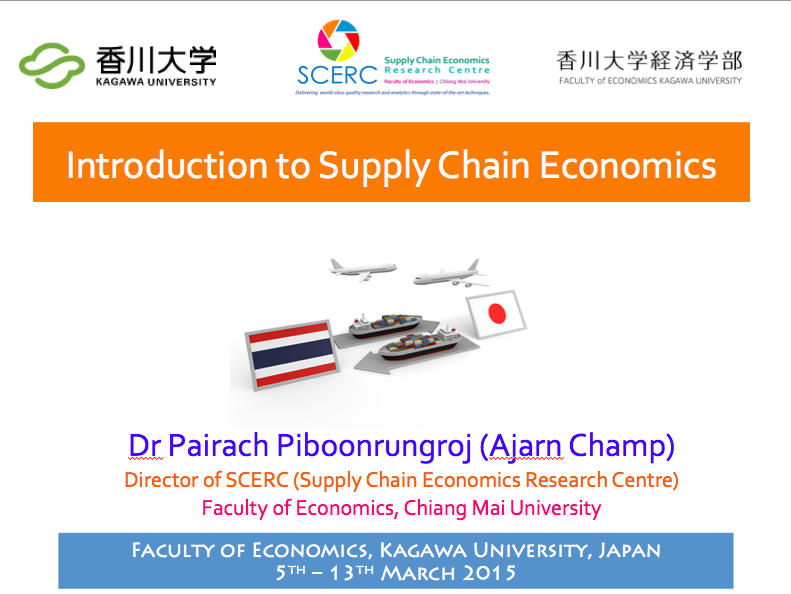 In 2015, I was honourably invited by Professor Komsan Suriya and Professor Ranade to teach “Supply Chain Economics” in Japan. To assemble such memorable classes including some pictures and course materials, this webpage was designed to be the host. Students can find all the contents taught in the class and more here. Since I taught different but related subjects each year, the contents are divided by the calendar year. This year I was invited to come to Japan. And I decided to give students a critical knowledge of mine. Hence “Supply Chain Economics” is the topic of the year. This year I have been involved in several tourism research projects. 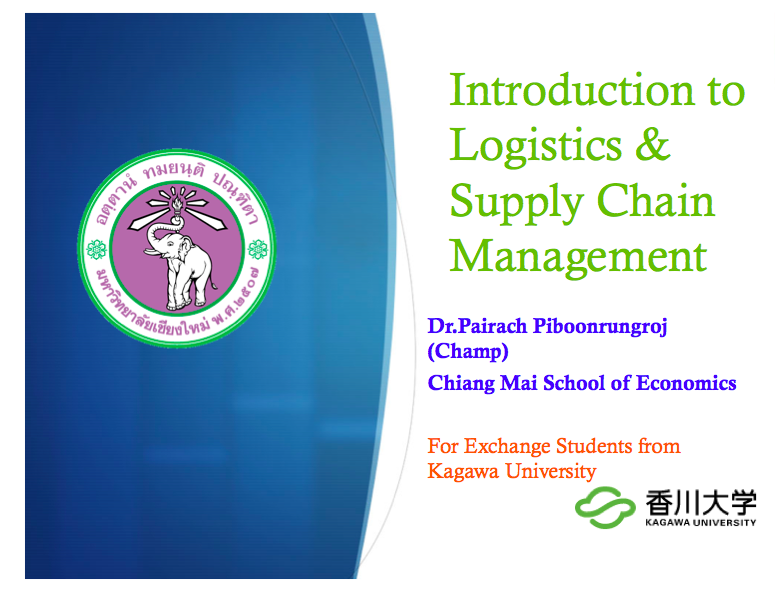 Then I think students would learn a lot from me in the topic of “Supply Chain Logistics” especially with the cases in Thailand. Today (6th September 2013), I am happy to teach exchange students from Kagawa University (Japan). The lecture is on Introduction to Logistics and Supply Chain Management. 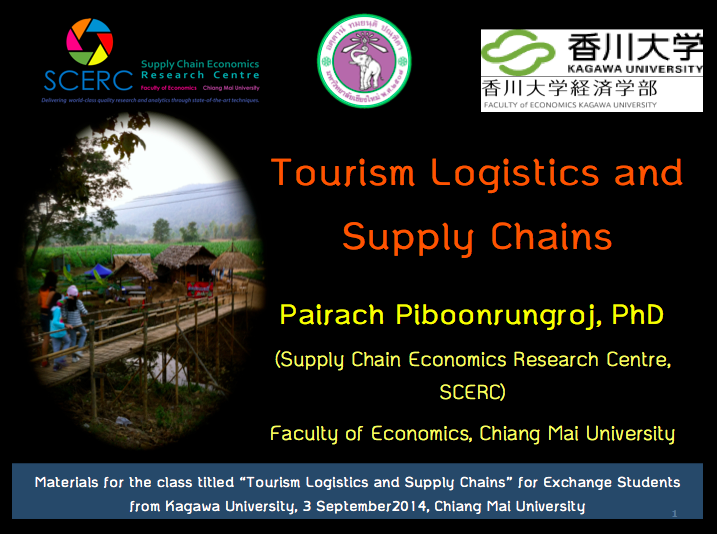 Here is the PowerPoint slides and more details about supply chain strategies can be found here.